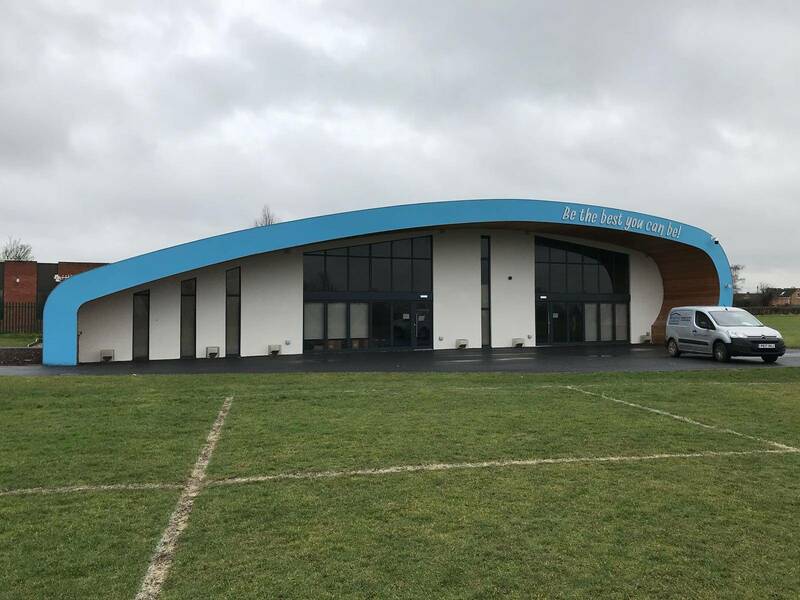 UKBC are registered to undertake both Commercial and Residential Air Tightness testing with ATTMA. So – what is air pressure testing? Air pressure testing calculates the air tightness of a building, known as its ‘air permeability’ or ‘leakage’ rate. Air leakage is air that escapes the building via uncontrolled means. Leakage can occur through gaps, holes or cracks in the fabric of the building. Excessive air leakage can affect the building’s energy efficiency, making the building less energy efficient and more expensive to run. why do i need air pressure testing? Now we’ve covered ‘what is air pressure testing?’ we’ll explain why you need it. 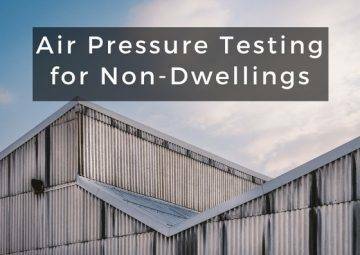 Part L1A and L2A (England & Wales), Section 6 (Scotland) or Part F1 (Northern Ireland) of The Building Regulations require Air Pressure Testing. 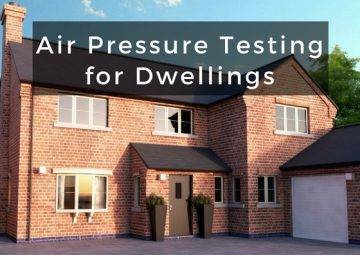 Air Pressure Testing has been mandatory for all new build residential and commercial properties in England, Wales and Northern Ireland since 2006, and in Scotland since 2010. This is to make sure the building meets or exceeds the air permeability rating specified in your design stage SAP or SBEM Calculations. Maintaining a high level of air tightness within a building helps with energy efficiency. For instance, air entering and escaping a building can lead to lost heat and cold draughts. Contractors can continue work within the property but all windows and doors have to remain closed for the duration of the test. You should carry out air pressure testing towards the end of your project. 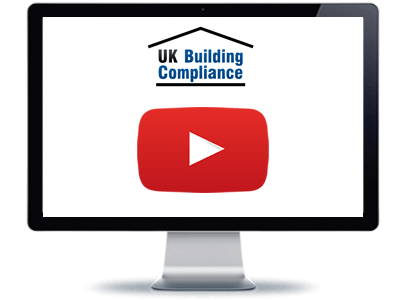 UKBC will provide you with a site readiness checklist to help you determine when your building is ready. Duration of the test will depend on the size of the property and the level of preparation undertaken before testing. Generally, the duration of the actual test should take no longer than two hours. At UKBC, we want your building to pass. To make sure, we provide consultation and on-site training for your contractor about reducing leakage rates in problem areas. However, if your building does fail, we offer a number of services to ensure that the process is ultimately a success. Our technician will give you full feedback and suggestions to help you make changes which will ensure a pass during the second test. 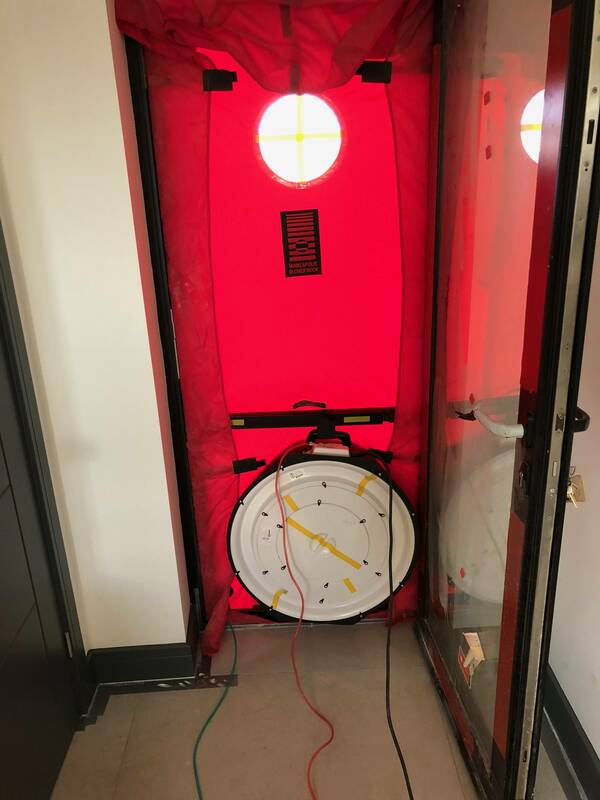 During a smoke test, our technicians will fill the building with smoke and pressurise the space. This will provide a visible indication of the problem areas, as the smoke will flow through the openings. In less extreme situations, we can use devices known as ‘smoke pencils’ to complete the task. Depressurisation is conducted by pressurising the whole building, forcing air out through any gaps or cracks. When our technicians reduce the pressure, there will be draughts as the air rushes back into the room, indicating where the air is escaping. Thermography uses infrared cameras to detect where the hottest and coldest spots are in the house. Failing to maintain air tightness can result in up to 40% heat loss. If you’re investing in energy efficiency measures, such as a new boiler or extra insulation, your efforts could be in vain if the building’s air tightness isn’t adequate. In some cases, extended commercial properties require air pressure testing. For instance, commercial extensions that have a total useful floor area 25% greater than the existing building or larger than 100m2 will need testing. Although not legally required for residential extensions or conversions, many people have the test performed for peace of mind. UKBC will guide you through the entire process of your air pressure testing. In addition, our service includes consultation on how to make sure your development passes.